PPT Solutions, Inc. - Logo, Business Card, Brochure, Pocket Folder, Staggered Flyers, Trade Show Banners, & Proposal Covers. Torch Technologies - Product Logos, Brochures, Corporate Posters, Trade Show Banners, Billboards, & Proposal Covers. JL's Lawncare - Logo, Business Card, & Door Hangers. 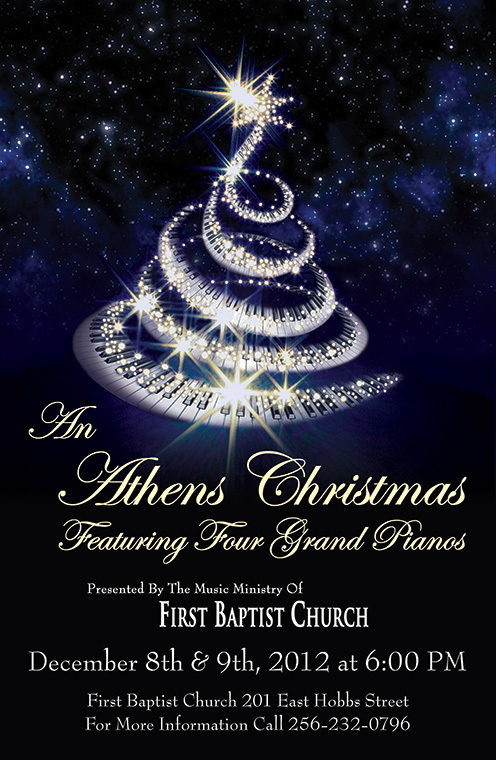 First Baptist Athens - Logos, Postcards, Bulletins, Brochure, Campus Map, Christmas Posters, & Banners. The Pointe - Business Card, Letterhead, Envelope, Magazine Ads, Brochure, Site Map, Pocket Folder, & Trade Show Banners. IBH - Brochure, Pocket Folder, Staggered Flyers, Medical Network Map, & Trade Show Banners. Empty Tomb Graphics (ETG) began over 18 years ago in print design. In the early years, our design work mainly consisted of logos, letterhead, envelopes, product sheets, brochures and advertisements for newspaper and magazines. Over the years our customers have continued to come to us for everything from event posters and packaging design to proposal covers and trade show banners. Some of the most unique items have been racing trailer graphics, a multiple canvas mural, and equipment illustrations. 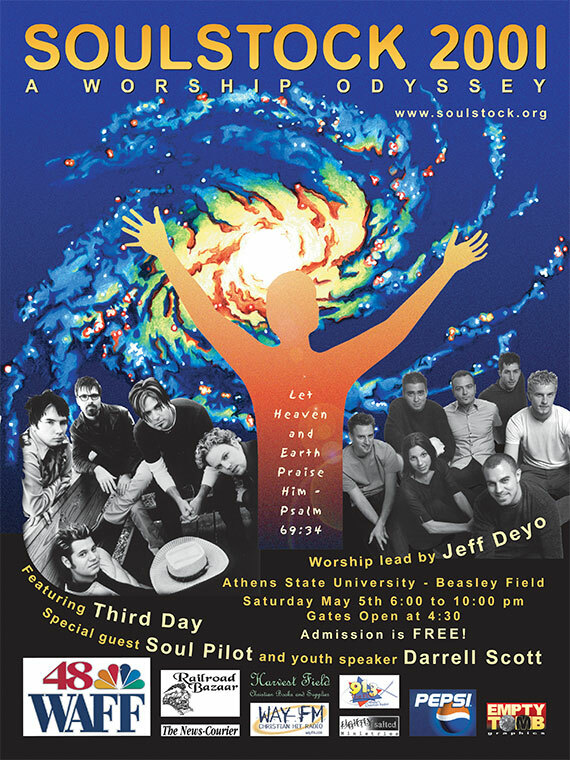 ETG was privileged to help with the logo and poster designs for the first ten years of Soulstock, a Christian Concert Event, when it was located in Athens, AL. It was a great time of brainstorming every year with a group of Christians wanting to make a difference in the lives of others. Another great event was working with Ryan Leffel, now at Liberty Church, with ten years of event posters, postcards and programs for the musical “An Athens Christmas”. We have been blessed through the years with a great group of clients and wonderful work. To God be the Glory.